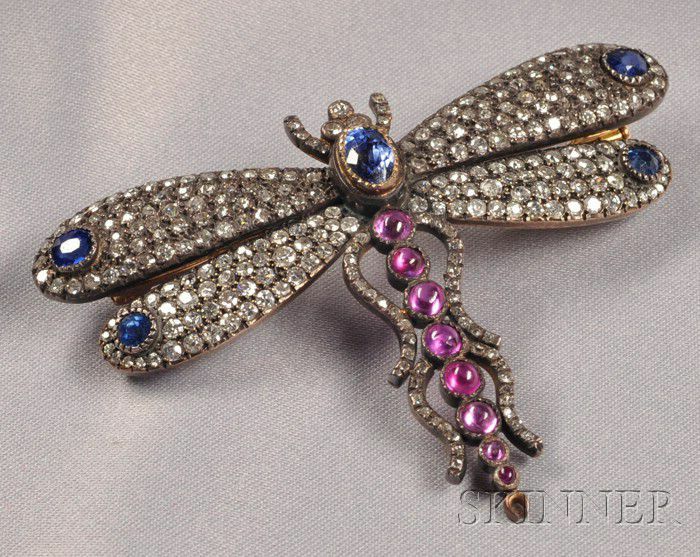 Antique Gem-set Butterfly Brooch, France, bead and bezel-set with old mine and old single-cut diamonds, cabochon rubies, and circular and cushion-cut sapphires, 2 x 2 15/16 in., silver-topped 18kt gold mount, French guarantee stamp, (detachable pinstem). c. 1910-1920. 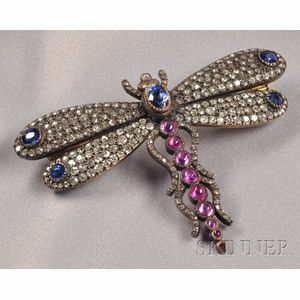 Typical inclusions and facet wear to colored stones, mainly clean without evident problems.